Throughout the Middle East, Egypt is known as “The Mother of the World”: the 6,500-year-old-and-counting birthplace of modern civilization and culture. 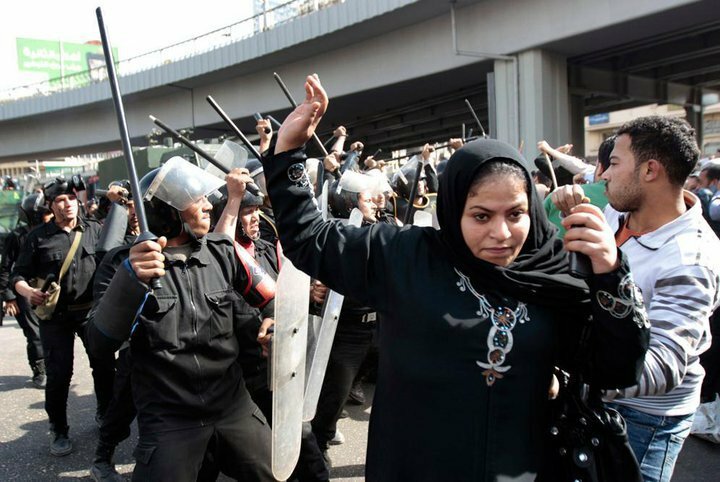 Throughout Egypt, and across the Middle East, women—the mothers of the world—are rising up and demanding their voices be heard. Suddenly, Al Qaeda’s looking a little less menacing—at least outside of its Afghanistan/Pakistan strongholds. 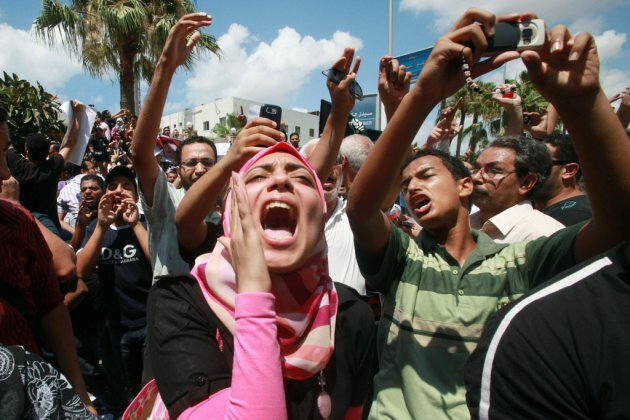 Millions of Arab people—men and women—will now have a say in the way they want their countries to be run. 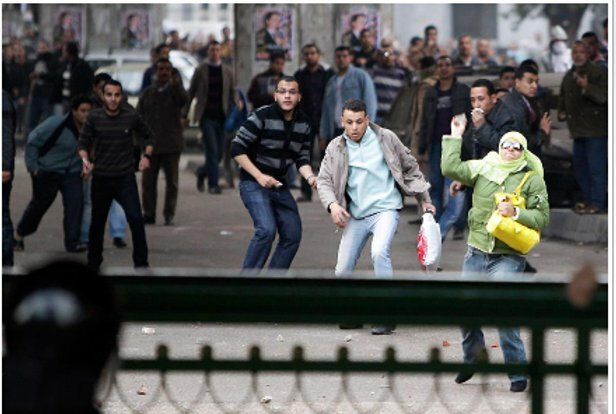 Let’s hope this tidal wave—the Tunisiami—continues. 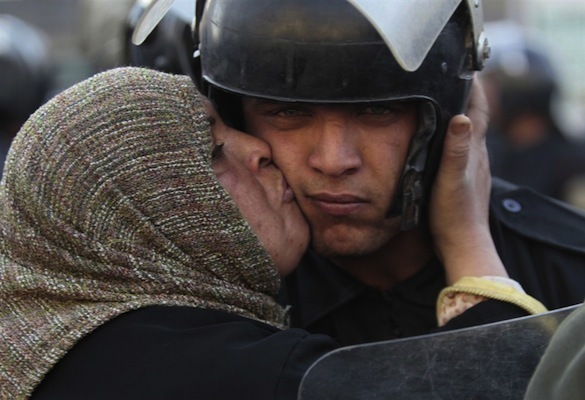 The way is not yet entirely clear, but the Tunisian and Egyptian revolutions are a huge step forward for representative democracies throughout the Middle East. Their lessons and their example reverberate and inspire the world. 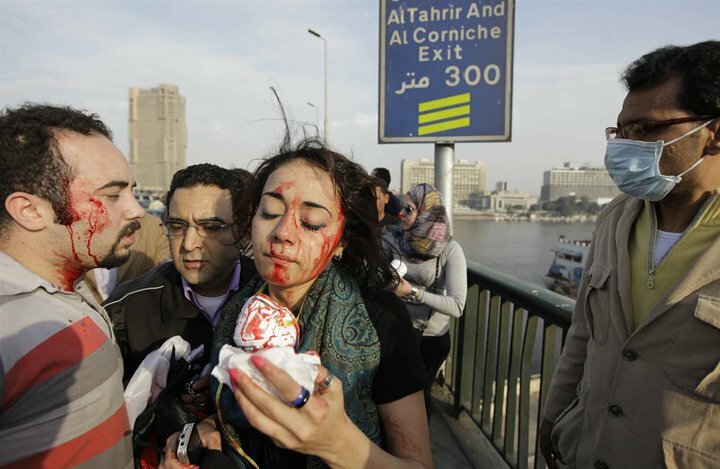 So far, it looks like moderate voices will prevail: after all, peaceful protesters won the battles in Tahrir Square. 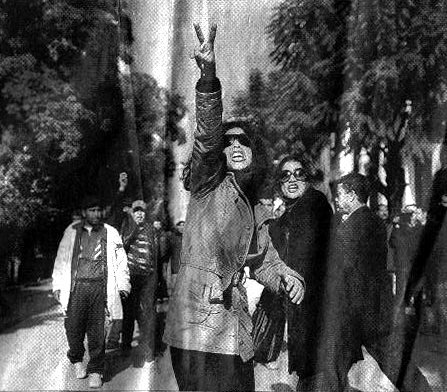 About a month ago, I wrote about Tunisia’s Jasmine Revolution, which kicked things off. 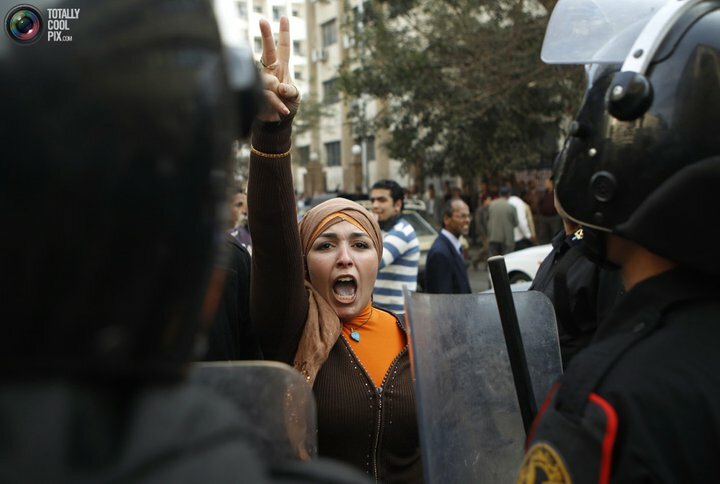 Protests are happening in Algeria, Bahrain, and Yemen. Iran’s government is out in full force today, blocking planned demonstrations there in support of Egypt, but they can’t stifle the reformist Green Movement forever. I love these women. They are brave, and they are pissed off. Look out! With their western clothing and chic sunglasses, they could be from any city in the world. I’m willing to bet they are also working mothers. They could be my girlfriends—they could be me! how could you hit this woman? TR: Your work has mainly revolved around women’s rights and equality. How are these issues playing out in the revolution? What is the role of women on the ground? 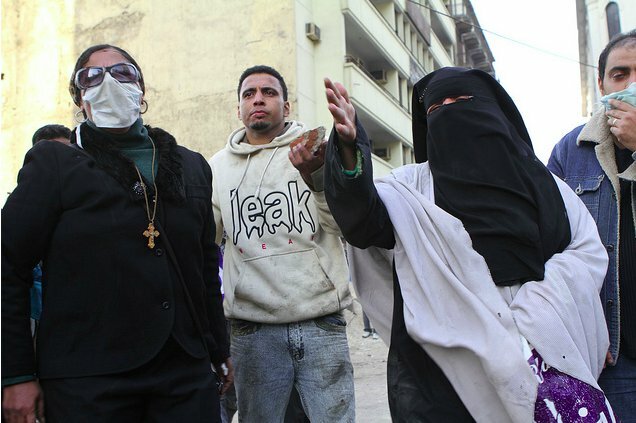 NS: Women and men are in the streets as equals now. We are in the revolution completely. Of course if you know the history of revolutions, you find that after the revolution, often men take over and women’s rights are ignored. 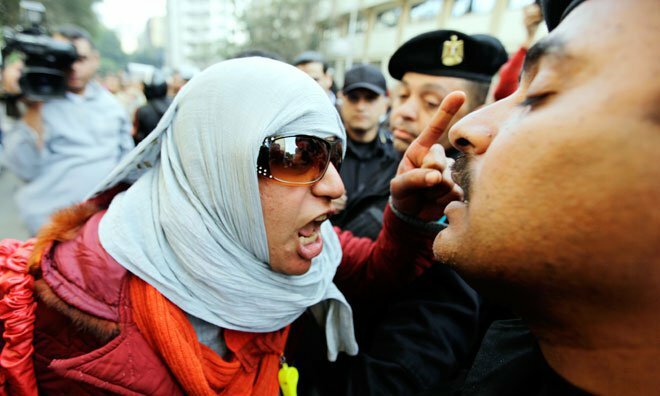 In order to keep our rights after the revolution, women must be unified. We must have our women’s union again. We cannot fight individually. RAZ: Tell me what your plans are now. 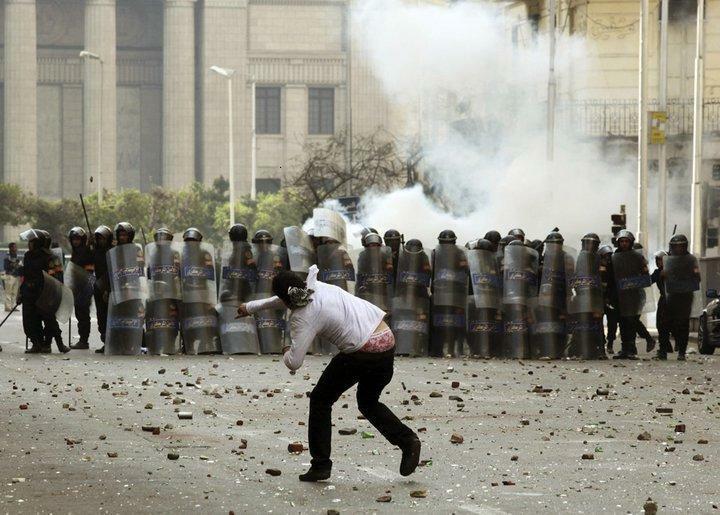 Can you imagine becoming active in the new political process in Egypt that will begin to emerge? Dr. EL SAADAWI: You know, I look to myself mainly as a creative writer all my life and a medical doctor. I always was active also in the women movement. 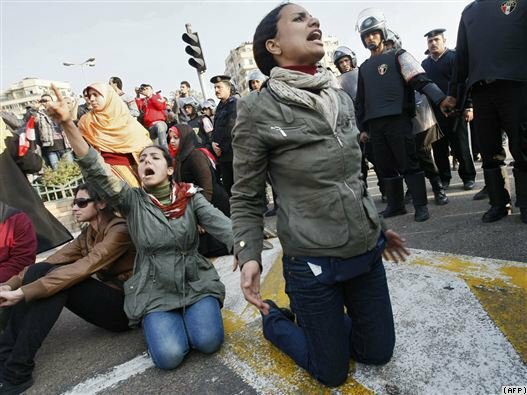 So now we have a big task coming, because in Tahrir Square, many young women, we sat together and we said that we should start establishing our Egyptian women union, because we need collective power of women to follow up what the revolutionary temporary government will do. And our demand is that we should have a secular constitution, no discrimination between men and women or Christians and Muslims. So, you know, the idea of real democracy is coming up. Just noticed this post on Linkedin. These women are really brave. It’s amazing that all this happened in three weeks under a dictatorship. We seem to have trouble getting things done here without one. I’d love to see Americans participate in their own government more — hey start on the local level. If you don’t like things in your town, stand up and work to change them. As we can all see, it takes a few folks with an idea (and a FB page) to really do big things. No apathy there. hi Julie – thanks for the comment. I don’t think many Americans can appreciate how brave (and fed up) these people are.I’m kind of surprised at the level of apathy and disconnect that has often been the case in the U.S., but maybe that’s changing…20-30% unemployment in Detroit and elsewhere has to take its toll somehow, but maybe we’re all too busy working (and trying to find work) to protest. We do tend to take our freedoms for granted here, and we shouldn’t! Incredible pictures… And more incredible women!!! !